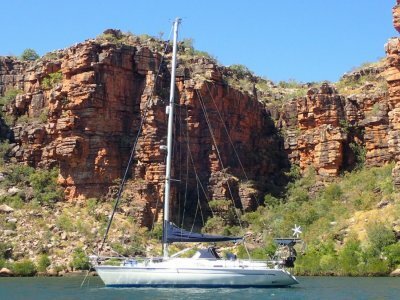 This Yacht is the perfect yacht to carry you on your next sailing adventure and it is quite unique in Australia. She has a large comfortable owners aft cabin and a well finished practical, safe centre cockpit with the luxury of teak trim and fitted cushions. 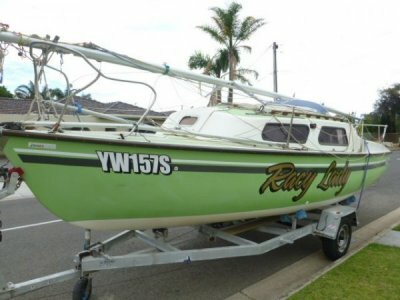 She is currently on her way home from a . . .
'Racy Lady' is one you maybe familiar with, she was sold recently to the current owner but unfortunately his situation has changed and he is no longer able to sail her. So this beautiful racing pocket rocket is back on the market. After a few tidy ups by the new owner she is now looking . 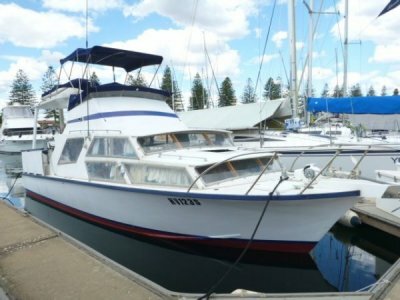 . .
'PRAHA' is a well maintained Super Spyder 24 ready to step on board and start sailing. She has what looks to be a good strong trailer with a new jockey wheel and trailer winch. I was very impressed with the layout of this boat the cockpit is open and uncluttered what plenty of room for . . .
Don't miss another summer thinking about it. This Incredibly well looked after well presented Bell Boy with almost no sign of wear and tear. 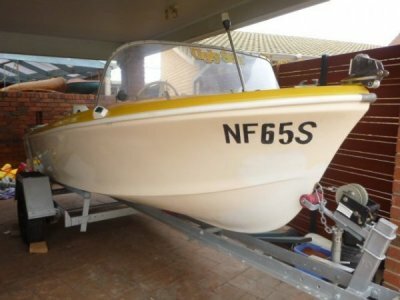 She has many extras including GME Electrophone, GX294 27 MHZ radio, Garmin GPS152H, Garmin Fishfinder 140 she is also complete with nave lights. The . . .
'Erkonoa' Is a classic cruising boat well suited to a life on the river but with the stability and strength to handle tough sea conditions. She has been a much loved part of its current family for over 45 years. Built by Murray Heritage on Kangaroo Island in 1969 where she fished local . . .
AIR DOCK currently located at the CYCSA. 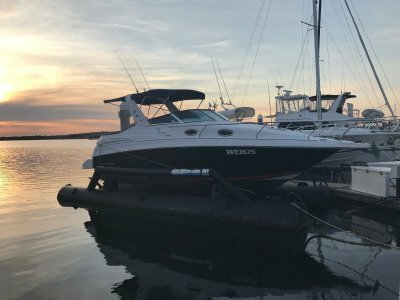 This air dock is in great condition and after the recent sale of the Mustang 2800 boat pictured, the owner no longer has a need for this Air Dock and is keen to move it ASAP. It is currently well located in A row at the CYCSA, perfectly set up for any new or . . . 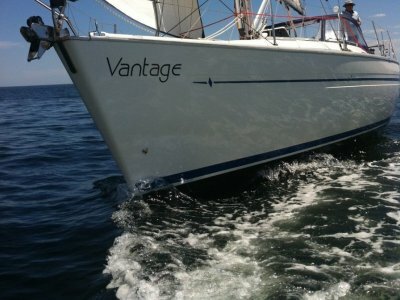 Incredible boat at a hugely discounted price 'Vantage' is a beautiful example of what a yacht should be. Well loved well cared for and well sailed by her current owners and crew. 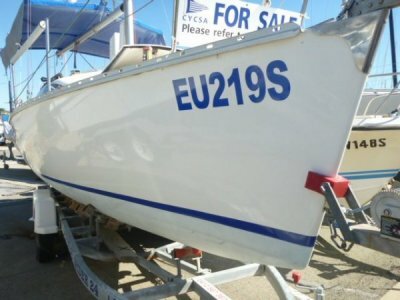 This boat presents as new showing very few signs of wear even though she was launched in 2001. She has raced . 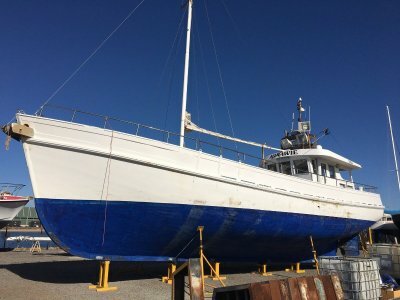 . .
Great Boat at a HUGE PRICE REDUCTION "Mov'in'On" Is a fantastic 35 foot hard chined planing hull with many recent upgrades including new shaft drive, John Deere 330 hp diesel engine with only 60 hours, drum winch anchor and chain and solar panel. Other extras include bow . . . 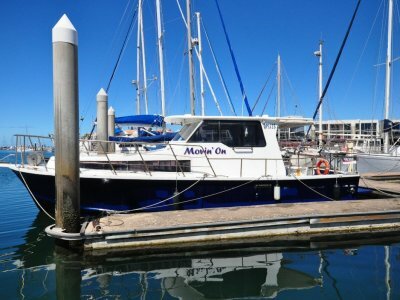 HUGE PRICE REDUCTION MUST SELL 'Minawie' is an incredibly well built timber working commercial cray boat with 2 x large Fibreglass circulating cray tanks which would hold 1.5 tonne of cray. There is a large fish hold room, approx 12 cubic metres in volume and a bait freezers that would . . .
Make the most of summer with family and friends on this professionally built custom aluminium boat designed by an engineer welded by RJ Welding. 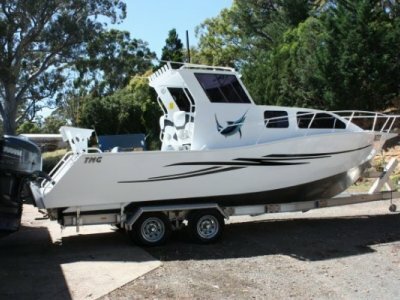 This boat was designed and built by the current owners to the highest quality standards. The design is awesome with a cabin area boasting full head height . . .